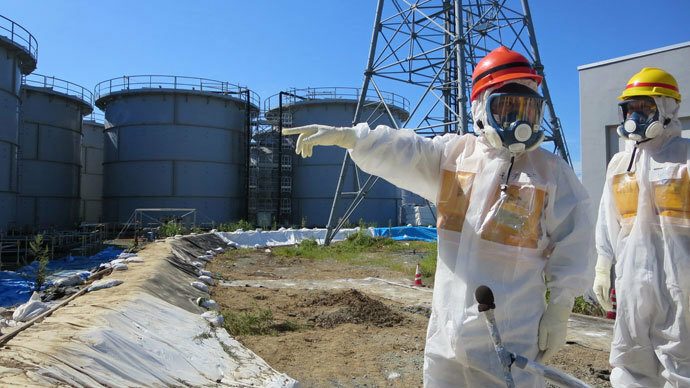 Japan’s government may have underestimated by 20 percent the internal radiation doses Fukushima cleanup workers received after the plant’s nuclear disaster, a panel of leading UN scientists says in its preliminary findings. Three of the Fukushima plant’s nuclear reactors were damaged by an earthquake-triggered tsunami on March 11, 2011, which led to a nuclear disaster with the plant accumulating radioactive water ever since. The UN Scientific Committee on the Effects of Atomic Radiation (UNSCEAR) raised doubts about the estimates of radioactive substances discharged at the plant provided by the Japanese authorities, plant operator Tokyo Electric Power Company (TEPCO) and other entities, Japanese newspaper the Asahi Shimbun cited a preliminary report submitted to the UN General Assembly as saying. The UN committee analyzed the data on radiation doses of 25,000 employees who worked at the plant no later than October 2012. The committee established that the tests conducted on the workers had failed to account some types of radiation, the newspaper reported, citing a summary of its report. The procedures completely ignored incidences of Iodine-132 and Iodine-133, which have short half-lives of 2 hours and 20 hours, respectively. Moreover, the workers were tested for thyroid gland doses from radioactive iodine only after a significant delay, the committee found. If the UN scientists’ estimates are correct, then more Fukushima employees would be eligible for free health checkups and treatment. At present about 1,100 people subjected to radiation of 50 millisieverts or more in whole-body doses are entitled to free tests for cancer of the thyroid gland, lungs, stomach and colon, the Asahi Shimbun reports. About 2,000 people with whole-body doses below 50 millisieverts but thyroid gland doses of 100 millisieverts or over are entitled to be tested for thyroid gland cancer. UNSCEAR has said that the soonest the report will be completed is by the end of the year. 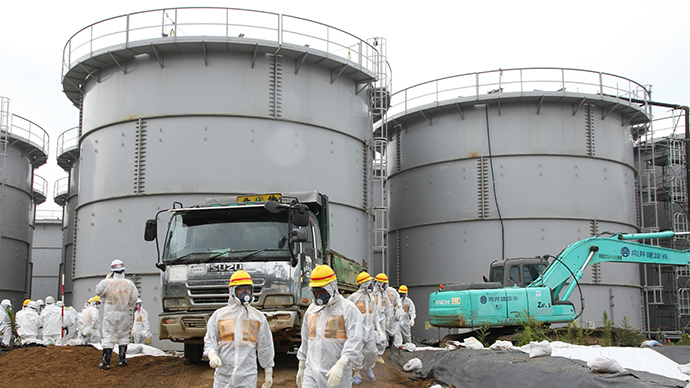 The Japanese Health Ministry required TEPCO and 81 primary contractor companies to submit medical examination results for 20,000 Fukushima employees before December 2011; however it is still waiting for that data, the Asahi Shimbun reported. The newspaper also reported that the UN experts cannot check all thyroid examination results, as the database is incomplete. An unnamed expert told the paper that radiation exposure in the Fukushima disaster came in large part from radioactive iodine, which tends to accumulate in the thyroid gland. Exposure to radiation is linked to greater rates of cancer and thyroid disorders. Over 3,000 residents of Kyushu Island took part Saturday in the first day of a two-day nuclear safety training exercise focused on the Sendai nuclear plant in Kagoshima. 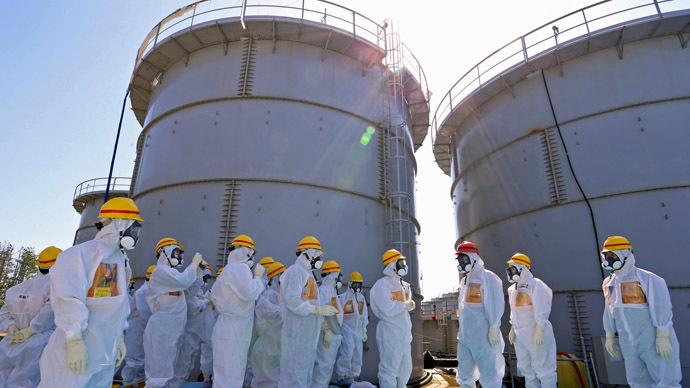 In addition to local residents, officials from about 130 government institutions, including members of the prime minister's office and PM Shinzo Abe himself, participated in the first drill since the Fukushima crisis. Residents living within a 30-kilometer radius of the plant took part in an evacuation drill for the first time. The exercise began Saturday morning under the simulated conditions of an earthquake, with an intensity of upper 6 on the Japanese scale of 7, striking an area near the Sendai nuclear plant, causing one of the plant’s reactors to shut down. On Saturday afternoon, the plant was simulated to have lost all electricity due to an aftershock. Rescue teams worked on news video reporting on the earthquake to alert people about the accident and show optimal evacuation routes. 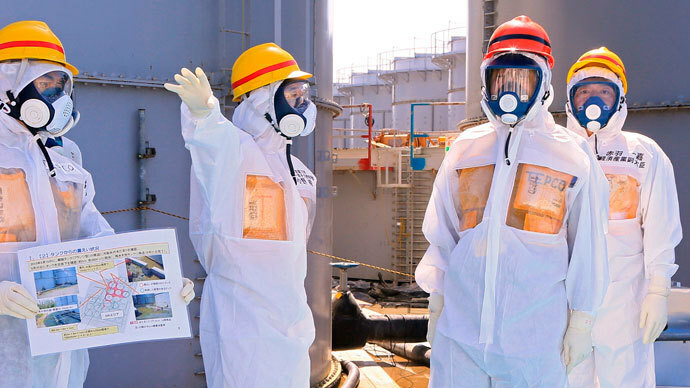 The exercise was also attended by members of the Coast Guard, who had evacuated the residents of remote islands of the supposedly contaminated area. Since the Fukushima nuclear disaster, Japan has shuttered all of its dozens of nuclear power plants. However the Japanese government is considering restarting some reactors in the event of their compliance with new safety standards developed after the March 2011 disaster. Four Japanese power companies have already applied for the restart of six reactors at 12 nuclear power plants. However it is not known whether local authorities will agree to reopen the plants, because after the nuclear meltdown of Fukushima’s reactors, public movements calling for a complete rejection of nuclear power have become more popular. A preliminary decision on whether to reopen the nuclear plants is expected in early 2014.